Change your industry with environmental sensing, wireless connectivity, mobile engagement, and scalable cloud-based analytics. Your customer values your products and your brand. Help them protect that investment by integrating Blustream sensors into your product offering. Securely and reliably monitor and record temperature, humidity, physical impact and motion conditions over time. 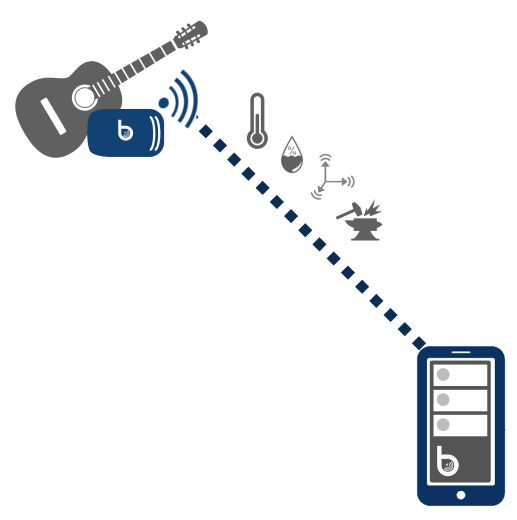 Sensor data is sent to any Bluetooth connected iOS or Android device. Automatically monitor and alert your customer when preset limits are exceeded with your own rule-based counter measures and custom content tailored to your products, customers and industry. Out-of-limit conditions are an opportunity to advise and educate users as well as identify maintenance supplies and consumables that need to be replenished. 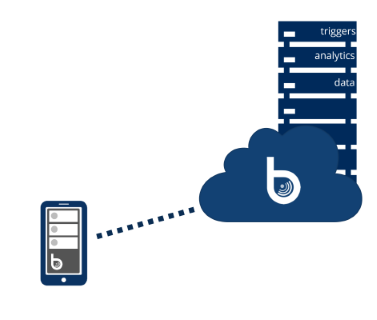 With easy-to-use Blustream configurator, you can quickly create a purpose-built mobile app according to your product and market requirements, fully compatible with Blustream sensors and our powerful and secure cloud-based services. Create a custom, branded experience for your users using the blustream configurator to integrate your logos, brand identity and custom content. Easily integrate access to your online content, resource hubs and network-accessible services from within your Blustream mobile app. In additon to sensor data, user interaction with your mobile app is captured. 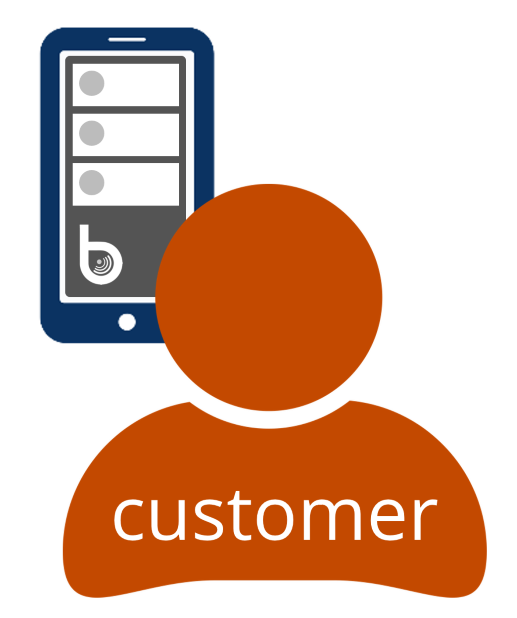 Customer data may be collected using interactive input forms within your app. Informed by actual product usage data, your customer facing systems can be used more effectively to get the right information to the right customer at the right time. Data streams are backed up to the Blustream data services cloud for secure, long term storage. Custom-defined, configurable triggers analyze collected data to drive sales and steer users to beneficial educational articles and videos, and logical add-on product offers. Blustream experts help you define threshold monitoring, predictive analytics and machine learning algorithms tailored to your specific use cases and market requirements. Mine information from customer data sets to understand product usage, trends over time, and customer behavior patterns accross your installed product base. To succeed in today’s connected marketplace, Blustream helps you to put the data systems in place to immediately know your customers, their habits, and their needs. 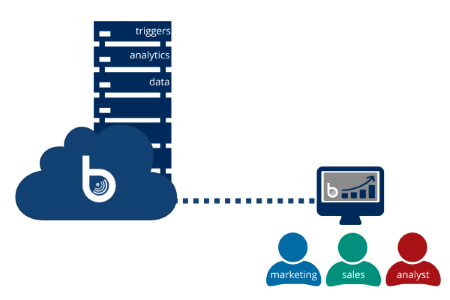 Blustream data visualization tools help inform product management priorities and sales and marketing campaigns. 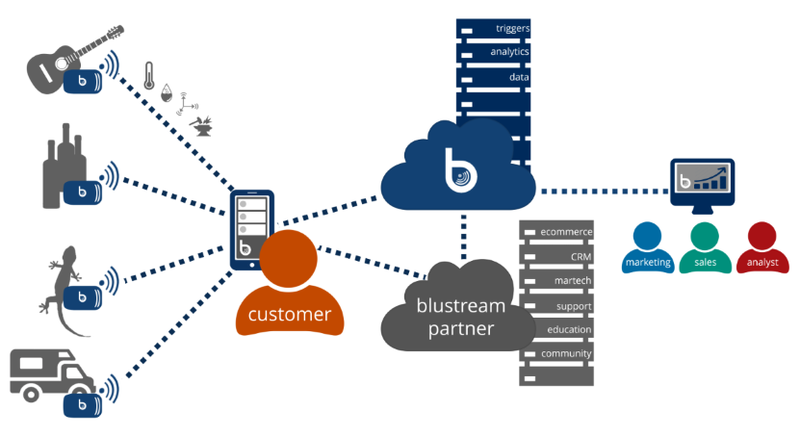 Transform your business with Blustream. 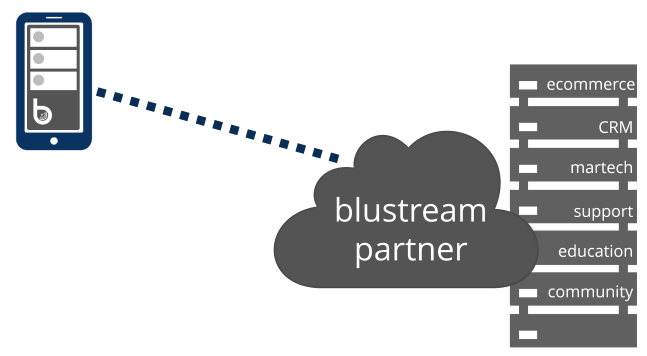 Click here to become a Blustream partner. Remember the Blustream sensor is a tool to help you, but you are ultimately responsible for the safe keeping of your valuables! Bluetooth and wireless connections may disconnect at any time without notice. It is your responsibility to insure a working connection while monitoring your items. As stated in the Terms of Service, Blustream Corporation is not responsible for any loss, damage, or issues arising to your valuable items. Protected by US Patent 2014129475 and other patents applied for. Copyright ©2016-2018 Blustream Corporation, Worcester, MA All rights reserved.